STAMFORD, CT. & BETHLEHEM, PA –Synchrony and Service Tire Truck Centers (“STTC”) introduced an owner-operator financing solution that will be available through the Synchrony Car CareTM “Truckers Preferred” program. The new financing option allows owner-operators to purchase new tires and necessary truck services, when needed, without the worry of large out-of-pocket payments. Owner-operators can learn more about financing options at www.sttc.com or by visiting their local STTC branch. Qualified cardholders enjoy an everyday value proposition of 6 months special financing on purchases of $199 or more1. 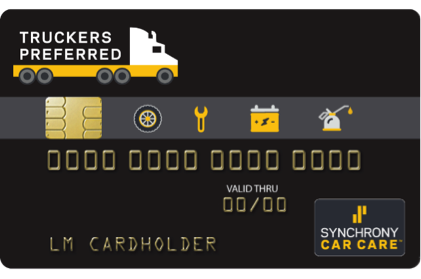 Also, as part of Synchrony Car Care, Truckers Preferred cardholders can take advantage of additional benefits, including using their card at over 500,000 truck and auto parts/service locations nationwide. Service Tire Truck Centers (STTC) founded in 1955 by Walter Dealtrey Sr. in Bethlehem, Pennsylvania, first operated as a 3,000 sq. ft. retread shop in the rear of one of Walt Sr.’s retail tire stores. The young company employed two production people, one salesman, and one delivery truck. Retread production averaged six tires per day. From those unassuming beginnings, STTC expanded its geographic footprint through strategic acquisitions, new store openings and always providing exceptional customer service. As of today, STTC has produced over 3,500,000 retreads, operates 49 locations in 8 states, and employs more than 850 people.